I would like to give a special shoutout to the following Atari Jaguar fans who attack me back on the ol' Jaguar Interactive II stomping ground: ETHunter, Clay, Skip, Thunderbird, and Wes. I couldn't made this great game without you my bruthas! 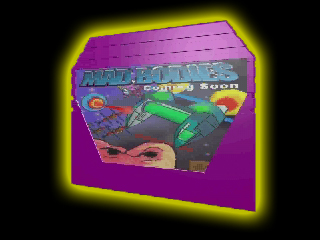 Welcome to the official homepage of MADBODIES, the game for the Atari Jaguar that will always get some bodies mad. It wouldn't be MADBODIES if nobodies get mad! A new game series has hit the Jaguar with rockin' gameplay! -ThumbPad 2009 review of MADBODIES gives it ...TWO BIG BRUISE THROBBING THUMBS UP... click here to get your 2010 gaming info from ThumbPad! -ClassicVGM 2009 review of MB said, ...ENDLESS HOURS OF GAMEPLAY... Classic gamers read Classic Video Gamer for your retro video gaming needs! A new form of evil is out and only ETHunter, Clay, Skip, Thunderbird, and Wes are trained enough to stop the devasting madness The Graphics Man caused with fusing the world's reality within his ebonic mind to rule all! 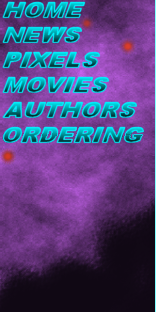 And the only way to get The Graphics Man is to enter the Dark Knight Games tournment co-hosted by Dave Vaporware! Mad Bodies contain 10 stages of solid gameplay, colorful graphics, excellent sfx, and cool bosses. Not one Jaguar fan should miss this sleeper hit! Copyright © 2005-2015 FORCE Design Inc.